Collect them all! 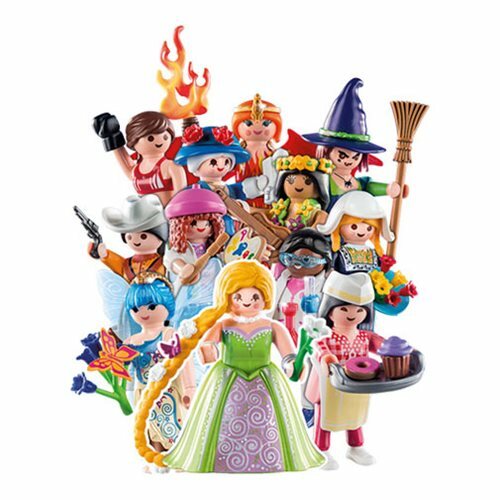 Each Playmobil 70026 Fi?ures Mystery Action Figures Girls Series 15 figure is a fun surprise. Just pop open the bag and you'll get one of 12 awesome mystery figures with accessories. Just assemble it and the fun begins! 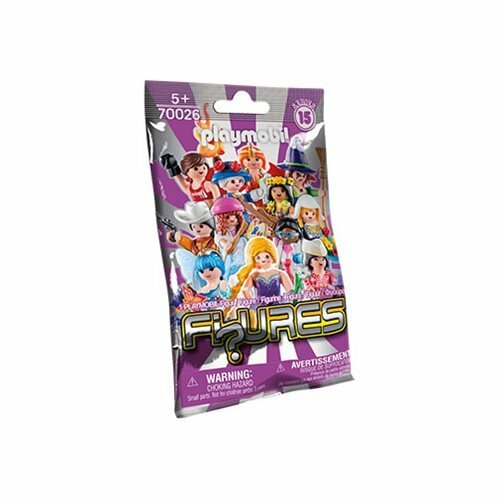 Girls Series 15 case may include Witch, Princess, Pastry Chef, Fairy, Artist, Boxer, Fire Wizard, Queen, Hippie, Flower Girl, Scientist, Cowgirl, or other fun surprises. Set includes 6 individually bagged figures. Ages 5 and up.